Do you know an outstanding leader in the whole child movement? The Simms/Mann Institute is proud to announce the 2018 Whole Child Award to honor leaders who pursue a whole child approach in their work. Alicia F. Lieberman, Ph.D. holds the Irving B. Harris Endowed Chair of Infant Mental Health in the UCSF Department of Psychiatry, where she is also Professor and Vice Chair for Academic Affairs. She is Director of the Child Trauma Research Program, San Francisco General Hospital and clinical consultant with the San Francisco Human Services Agency. She is past president of the board of Zero to Three: National Center for Infants, Toddlers and Families and is on the board of trustees of the Irving B. Harris Foundation. 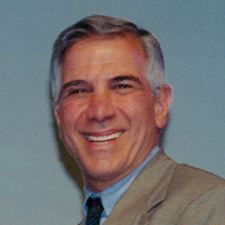 Jack P. Shonkoff, M.D., is the Julius B. Richmond FAMRI Professor of Child Health and Development at the Harvard T.H. 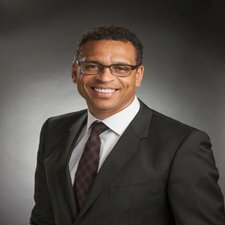 Chan School of Public Health and Harvard Graduate School of Education; Professor of Pediatrics at Harvard Medical School and Boston Children’s Hospital; and Founding Director of the university-wide Center on the Developing Child at Harvard University. He currently serves as chair of the National Scientific Council on the Developing Child, a group of distinguished scholars whose mission is to bring credible science to bear on public policy affecting young children, and chairs the JPB Research Network on Toxic Stress, which is developing new knowledge and measurement capacity to assess the biological, bio-behavioral, and health consequences of excessive stress system activation. In 2011, he launched Frontiers of Innovation, a multi-sectoral collaboration among researchers, practitioners, policymakers, community leaders, parents, investors, and experts in systems change who are committed to achieving breakthrough outcomes for young children facing adversity. 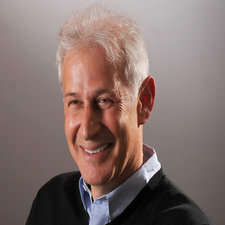 Dr. Shonkoff has received multiple professional honors, including elected membership to the Institute of Medicine (now the National Academy of Medicine), the C. Anderson Aldrich Award in Child Development from the American Academy of Pediatrics, and the Distinguished Contributions to Social Policy Award from the Society for Research in Child Development. He served as Chair of the Board on Children, Youth, and Families at the National Academy of Sciences and led a blue-ribbon committee that produced the landmark report, From Neurons to Neighborhoods: The Science of Early Childhood Development. He has authored more than 150 publications, including nine books and monographs. Born and raised in Paraguay, she received her B.A. from the Hebrew University of Jerusalem and Ph.D. from The John Hopkins University. This national and cultural background informs her work on behalf of children and families from diverse ethnic and cultural origins. 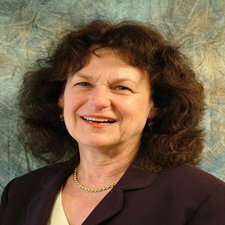 Her major interests include infant mental health, disorders of attachment, child-parent interventions with families experiencing multiple adversities, the effects of trauma and domestic violence in the first years of life, and treatment outcome research with traumatized young children and their parents. She is the lead developer of child-parent psychotherapy, an evidence-based, culturally informed treatment for traumatized young children and parents that is disseminated nationally and abroad. She is the author of The Emotional Life of the Toddler, which has been translated to several languages, and senior author of Losing a Parent to Death in the Early Years: Treating Traumatic Bereavement in Infancy and Early Childhood; Don’t Hit My Mommy! : A Treatment Manual for Child-Parent Psychotherapy with Young Witnesses of Family Violence; and Psychotherapy with Infants and Young Children: Repairing the Effect of Stress and Trauma on Early Attachment. She has edited or co-edited several books and is the author of numerous articles and book chapters on infant and early childhood mental health, including treatment of attachment disorders and traumatic stress. She was a member of the Attorney General Task Force on Children Exposed to Violence and has served in review panels for NIMH and other federal agencies. She lectures extensively in four continents and is a consultant to government agencies and private foundations nationally and abroad. Dr. Lieberman is currently the Director of the Early Trauma Treatment Network (ETTN), a collaborative of four university sites that include the UCSF/SFGH Child Trauma Research Project, Boston Medical Center, Louisiana State University Medical Center, and Tulane University. ETTN is funded by the federal Substance Abuse Mental Health Services Administration (SAMHSA) as part of the National Child Traumatic Stress Network, a 80-site national initiative that has the mission of increasing the access and quality of services for children exposed to trauma in the United States. The program focuses on training clinicians, community providers and clinical researchers to help close the gap in services for low-income, culturally diverse underserved families and their young children. In 2015, the Simms/Mann Institute launched the Whole Child Award to honor a medical professional focused on pursuing a whole child approach in caring for children and their families. The inaugural award of $25,000 was given to Dr. Michael Yogman, a nationally recognized pediatrician and advocate, who has worked in the field of pediatrics for over twenty years, both as a clinician at Boston Children’s Hospital and as an academic at Harvard Medical School. This year, the Simms Mann Institute is expanding the Whole Child Award to honor extraordinary individuals from a variety of sectors. Specifically, we are looking for individuals who have made a significant impact in the zero to three space as medical clinicians (OB/GYNs, pediatricians, or nurses), nonprofit/community leaders, or educational champions. Each winner will receive a $25,000 award and recognition at the Simms Mann Institute Think Tank. The nominee must be available to attend the Simms Mann Institute Think Tank on May 2, 2018 in Los Angeles, California. Nominations will be accepted until 5:00PM on December 05, 2017. Please read the nomination criteria in full and fill out the nomination form below. Have at least 10 years of experience/practice in their field, reflecting their commitment to the zero to three movement. Have made a significant, tangible, and lasting impact on the whole child movement, supporting prenatal and maternal health and wellness and/or early childhood development and education for children ages zero to three. Have either effected, or have the potential to effect, systemic change. This might include, but is not limited to: influence in their field, policy change, wide scale adoption of an early intervention, development of a new model, etc. Exhibit strong passion and commitment to the whole child movement — as well as a high degree of personal integrity. Be available to attend the Simms/Mann Institute Think Tank on May 2, 2018 in Los Angeles, California. Nominee must be a currently practicing OB/GYN, pediatrician, or nurse. Nominee must have an impact in the whole child movement beyond their individual medical practice or institution. Preference will be given to nominees who utilize an integrative approach in their practice. Nominee must be individual working in an academic or research institution whose work has had an impact in the field beyond their individual institution. Preference will be given to nominees who train early care educators and/or who are testing, building, and implementing practical models, applications, or interventions that are being used by practitioners today. If you have not registered for the Think Tank, but wish to do so, please check the box below and a member of our team will work with you to complete your registration. Yes, please contact me to complete my registration. Please tell us why your nominee should receive the Simms/Mann Institute Whole Child Award. * Please highlight accomplishments in the field, previous awards received and focus of the nominee’s work. Does the nominee serve as a change agent in their community as it relates to the whole child movement? If so, please explain why. (Maximum 500 words).